The St. Gregory Hotel, located at 2033 M Street, NW, 20036, five blocks from Dupont Circle and two blocks from the route of the National Pride March, invites guests to celebrate LGBT Pride Month 2017 with The Glisten Pride Package. Available exclusively during the month of June (for June stays only), when guests book this package, 10% of the room rate will be donated to GLSEN (pronounced “glisten”), the leading education organization creating safe and affirming schools for LGBTQ youth. In addition to the room rate donation, The Glisten Pride Package also includes a wealth of celebratory components including a 375ml bottle of Grey Goose, placed in the room upon arrival, a complimentary upgrade to one of the hotel’s luxurious suites (based on availability), and two tickets for rooftop pool access at the Hilton Garden Inn Washington, located at 2201 M Street NW, 20037 (Thursday thru Monday stays only). Those who book the pride package will also receive a complimentary issue of The Washington Blade along with an Official LGBT Pride Month Insider Guide, which offers a local’s perspective on the best places to go and events taking place around the city throughout the festival. 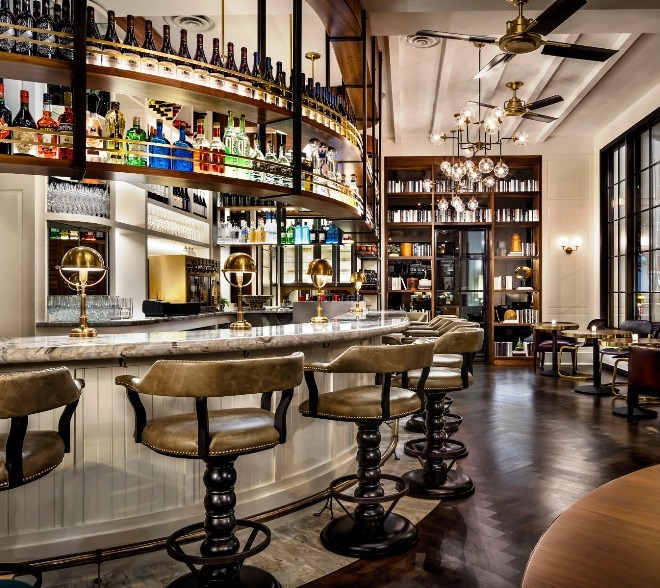 Also, Tredici Enoteca at The St. Gregory Hotel will offer a variety of specials throughout Capital Pride Weekend (June 8-11). Fans of the Mediterranean-inspired restaurant can enjoy lunch happy hour Thursday, June 8th through Saturday, June 11th, from 11 a.m. to 5 p.m. in the 30-seat bar, 60-seat dining room or on the 35-seat outdoor patio. Lunch Happy Hour offers $5 beer and wine specials along with a selection of specialty cocktails as well as lunch favorites in addition to small bites, priced at $8 each. The restaurant will also be offering a Pride Brunch featuring live entertainment on Saturday, June 10th and Sunday, June 11th. Brunch is served from 11 a.m. to 3 p.m. and features a collection of classic American staples along with dishes influenced by Greece and Italy. Guests can enjoy dishes from the following categories: Healthy Start, Power Breakfast, and Brunch along with five distinctive brunch cocktails as well as Veuve Clicquot and Veuve Clicquot Rosé, which will be available at a special value of $11 per glass and $55 per bottle for the brut and $9 per glass and $45 per bottle for the rosé. 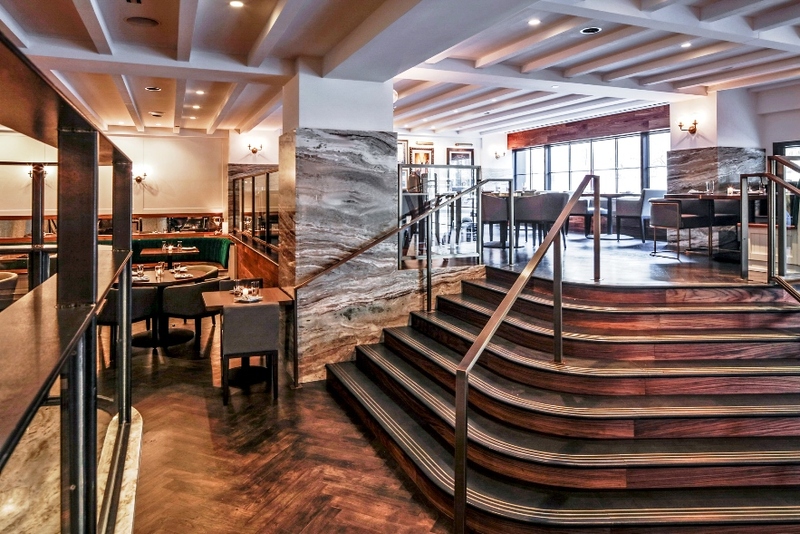 And more, Tredici D.C. will host a Pride Parade Patio Pre-Party on Saturday, June 10th, from 1 p.m. to 4 p.m. Pride-goers are encouraged to stop by and enjoy an endless supply of mimosas, house vodka or gin-based cocktails, and Bloody Marys before making their way to the parade festivities. Tredici D.C.’s bottomless beverage promotion is priced at $40 per person. The St. Gregory Hotel is a member of The Independent Collection (IC), a growing collection of cultivated lifestyle hotels in vibrant neighborhoods throughout the US. All 12 IC hotels are offering The Glisten Pride Package for stays during the month of June. Each hotel has made the package their own with components such as an “In Rainbow” cocktail at Freepoint Hotel in Cambridge, complimentary parking to The Independent Hotel in Philadelphia’s Gayborhood, a drag brunch at Capitol Hill Hotel, also in DC, and a bottle of local Chardonnay at Hotel Milo Santa Barbara, but the unifying component is the donation of 10% of room revenues from the packages to GLSEN. Rates for The Glisten Pride Package at The St. Gregory Hotel start at $154 per room, per night. Suite upgrades are based upon availability. Cancellations must be made at least 72 hours prior to arrival to avoid a penalty of a one-night room and tax charge. 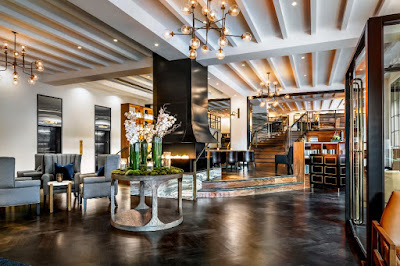 For reservations or additional information call (202) 530-3600 or visit: https://www.stgregoryhotelwdc.com/specials/glisten-pride-package/.